Pierpaolo Piccioli has designed a limited edition Valentino bag – the Garavani VRING – showcasing the fashion house’s new logo, and it’s available as a pop-up boutique store in The Dubai Mall for a limited time only. When Pierpaolo Piccioli presented his collection for Valentino at the SS19 shows, there was one detail that had caught everybody’s eye. Valentino had unveiled a new (yet simultaneously retro) logo for its latest line. The new look saw a brass V encased in a square design. The style is inspired by a familiar logo sating back to the fashion house’s early days in the 1960s and 1970s. One of the key items brandishing this motif in the new VRING bag created by Pierpaolo Piccioli himself. 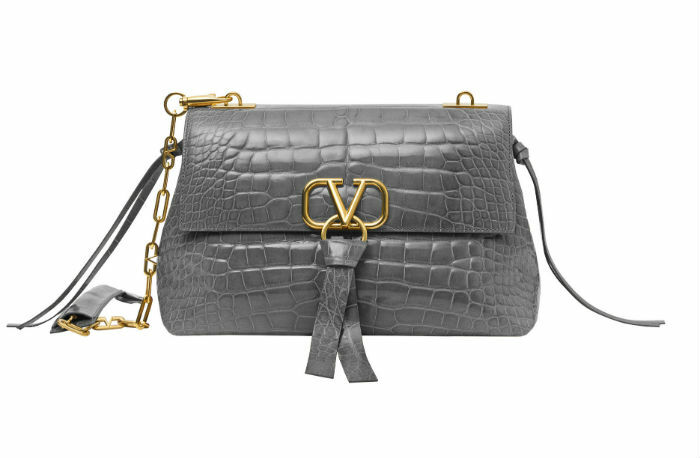 The new accessory represents an interpretation of the classic women’s bag reread with a contemporary aesthetic. 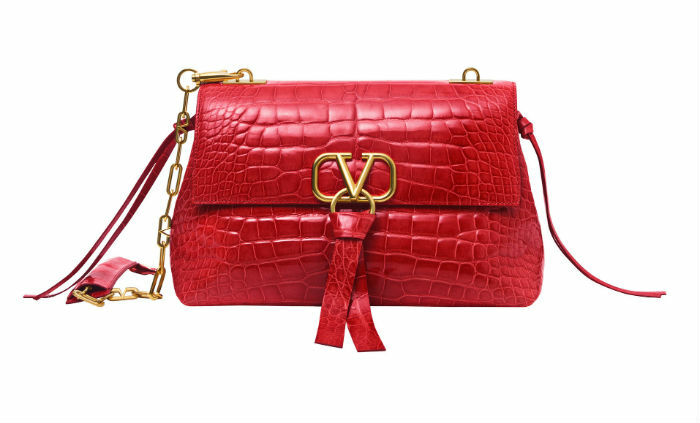 Just to add more newness, the classic Valentino shade of red was switched out for a bolder scarlet hue, and textures clashed with a mixture of different leathers. And especially for the pop-up boutique located in The Dubai Mall’s Fashion Avenue, an exclusive bag design has been released. 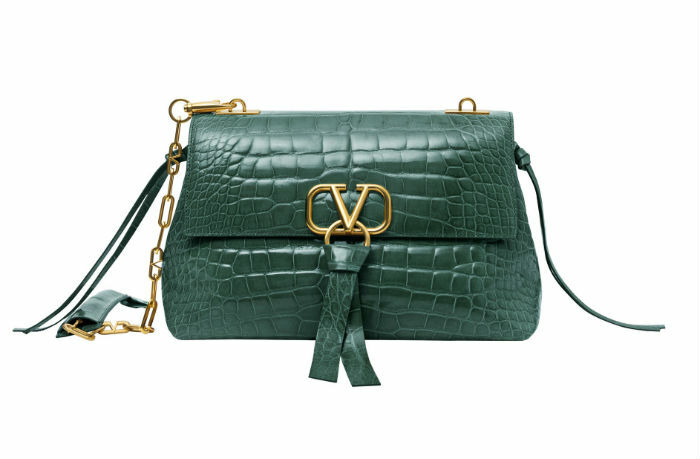 The limited edition crocodile Valentino Garavani VRING Bag that has been designed exclusively by Pierpaolo Piccioli is available in three colours – jade green, grey and red – within the pop-up. But with the hub only in operation until April 1st at the Fashion Atrium within The Dubai Mall. This will be open from 10am until midnight daily. Elsewhere with the Italian fashion house’s summer-ready collection, the creative mind designed a bold and dramatic collection that brought modesty and elegance to the clothing with voluminous sleeves, dramatic architectural cuts, a decadent clash of textures and statement prints. The SS19 line is timeless, understated elegance that is wearable, yet aspirational at the same time.